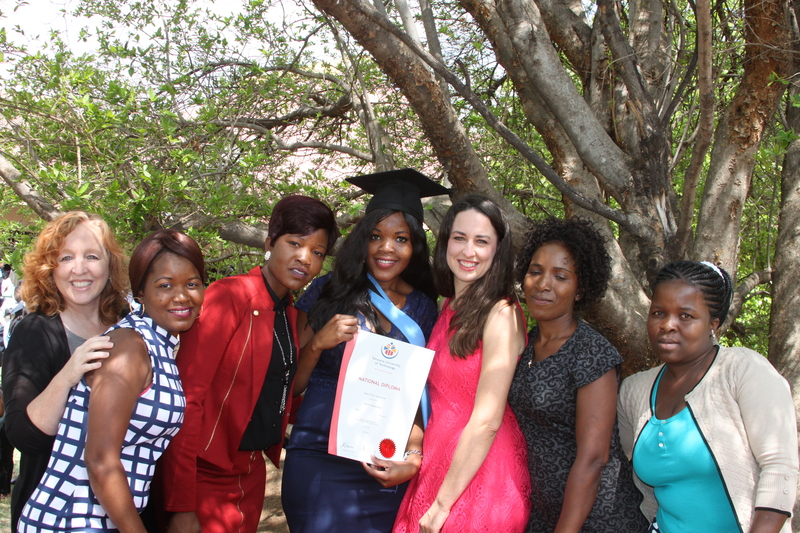 Hope of Africa would like to congratulate our oldest student, Zandile Nkalanga, for graduating last month from Tshwane University of Technology with a Diploma in Analytical Chemistry. Zandile is a beautiful, Godly young woman whose perseverance, hard work and dedicated spirit have paid off. We are grateful to her for inspiring and paving the way for her brothers and sisters. We wish her the best as she enters the work world (she already has her first job working in a lab in a major sugar refinery). Congratulations Zandile on achieving your goal! Heather was even able to surprise Zandile and make it for the graduation on her way to Uganda. What a great surprise! Amy, Heather, Zandile and her 4 older sisters.